Last updated 19 December 2017 . By Faith Strickland. Named after a famous American literary character who fell asleep after too much boozing, Van Winkle is the latest exciting addition to the East End of Glasgow. The restaurant is opposite the Barrowlands and has a distinct American theme, with plenty of bourbon on offer, and meat prepared on the spot's in-house smoker. There is also a scrumptious choice of pizza, including the ultimate comfort option - mac 'n' cheese topped pizza. 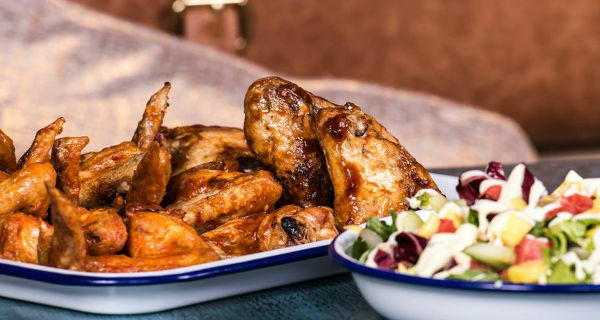 With dirty burgers, chicken wings and pizzas, Van Winkle is bringing big and comforting eats to Glasgow. Taking over the former Phoenix Bar venue, the restaurant has undergone a full revamp and has a beer garden for summer drinking. They are also aiming to have Glasgow's largest bourbon selection, with bottles from major American distillers, along with a few lesser-known brands. If you're up early, head over before 12pm for their breakfast pizza choice as well as a full Scottish breakfast.